AKIPRESS.COM - The bodies of seven people were found Friday hours after a dam burst at a Brazilian iron mine and caused severe flooding in the southeastern state of Minas Gerais, according to the local government in the city of Brumadinho, CNN reports. None of the seven victims has been identified. 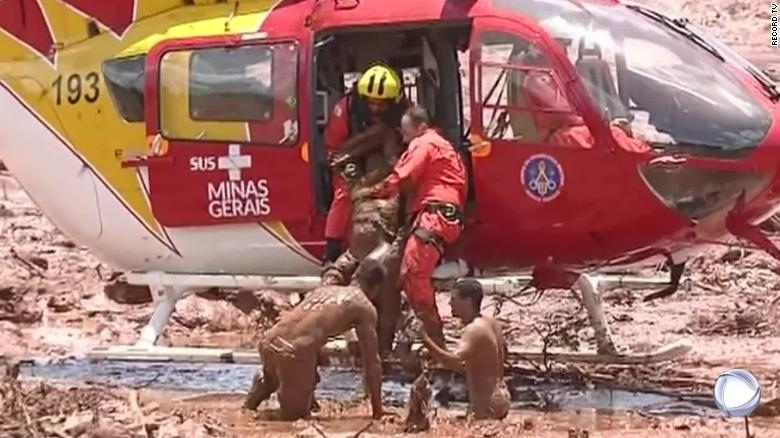 Nine people were rescued from the torrent of mud unleashed by the dam burst, according to a statement from the Minas Gerais state government. The statement said that Vale, the company managing the iron mine, informed the local government that 427 people had been at the site at the time of the accident; 279 have been rescued and about 150 are missing. Approximately 100 rescuers are on the scene, and their numbers will be doubled on Saturday morning. Dozens of helicopters are in use to search for survivors, according to the statement. The Retiro Baixo dam is 135 miles (220 kilometers) from the site of the Brumadinho dam burst, according to ANA.The Feijao mine is managed by Brazilian mining giant Vale, which said it suffered a "breach," causing mining debris to spill into the mine's administrative area where employees were working. Brazilian President Jair Bolsonaro posted a series of tweets to his official Twitter account, saying the government's "main concern at this moment is to tend to the potential victims of this horrific tragedy. "Bolsonaro said in a statement Friday he and the defense minister will fly over the region where the dam burst.